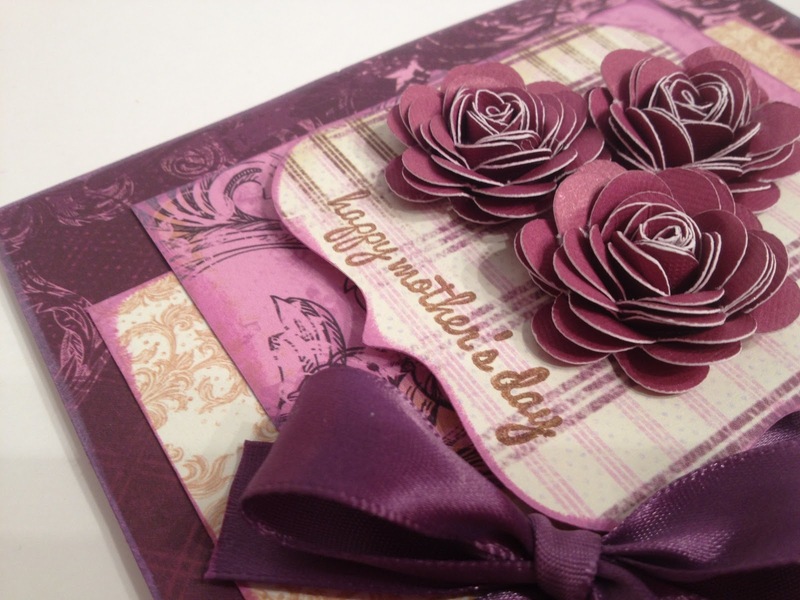 Suzanne here with some Mother's Day inspiration for you. Are you in need of a card for tomorrow? Look no further than our Dreamscape collection. I just love the purples in this line; the patterns and colors are very elegant. When layering papers, I love using our Powder Puff chalk inks to ink the edges and bring all pieces of the project together. I used "Very Berry" on each of my layers. Don't forget to grab your Powder Puff chalk inks when you use your stamps as well! I inked up my Mother's Day sentiment with my favorite color, Mocha Mama. Fantastic card. Loved all the details and especially like the roses you created. Thanks for sharing. Fantastic card with great papers and the details are great. I loved the roses you created. So cool. Purple as in lavender is one of my fav colors. This is a bee-utifully embellished card. Stunning card! I love the flowers and the layering! The big bow finishes it off perfectly! love those flowes! beautiful card!